View The Obituary For Imogene Willis. Please join us in Loving, Sharing and Memorializing Imogene Willis on this permanent online memorial presented by Putnam Funeral Home and Crematory, LLC. View The Obituary For Ellis Perez Medina. Please join us in Loving, Sharing and Memorializing Ellis Perez Medina on this permanent online memorial presented by Taylor Bros. Funeral Home. View The Obituary For Bette Jo Powledge Sommers. 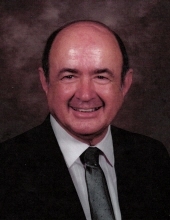 Please join us in Loving, Sharing and Memorializing Bette Jo Powledge Sommers on this permanent online memorial presented by MEMORIAL OAKS CHAPEL INC.
View The Obituary For John H. Marino. Please join us in Loving, Sharing and Memorializing John H. Marino on this permanent online memorial presented by Carroway Funeral Home. View The Obituary For Imogene Gatewood. Please join us in Loving, Sharing and Memorializing Imogene Gatewood on this permanent online memorial presented by Adams E.E. Stringer Funeral Home. View The Obituary For Linda Arlene Scott. Please join us in Loving, Sharing and Memorializing Linda Arlene Scott on this permanent online memorial presented by Fry-Gibbs Funeral Home. View The Obituary For Cal Parks. Please join us in Loving, Sharing and Memorializing Cal Parks on this permanent online memorial presented by McCoy Funeral Home. View The Obituary For Buck Robert Sosa. Please join us in Loving, Sharing and Memorializing Buck Robert Sosa on this permanent online memorial presented by Trevino Funeral Home. View The Obituary For Marion Hines. Please join us in Loving, Sharing and Memorializing Marion Hines on this permanent online memorial presented by Fry-Gibbs Funeral Home. 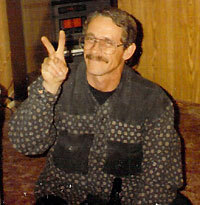 Philip Wheless Bonham, Texas — Graveside inurnment services for Philip Wheless, 65, of Bonham will be held at 2:00 p.m. on March 23, 2019 at Forest Grove Cemetery in Telephone, Texas, under the care of Wise Funeral Home.